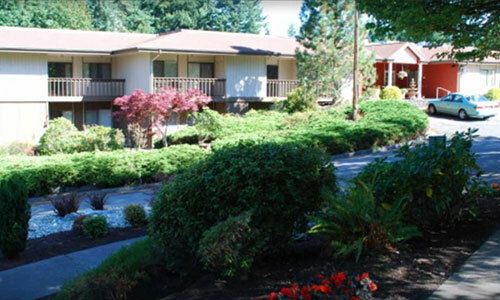 Set on a 90 acre wooded campus four miles south of Stanwood, Washington, Warm Beach Senior Community has served adults with retirement housing and services since 1967. Those 62 years of age and over work, play, and walk the trails together. They can see eagles, deer, and gorgeous sunsets. Warm Beach is the ideal place to spark new interests and enjoy your retirement years. Truly, this is a special place. Warm Beach Senior Community is a Continuing Care Retirement Community featuring apartments, cottages, manufactured homes, assisted living, skilled nursing, and rehabilitation services. One of the key benefits of a full-service concept is the fact that we have all levels of housing in our community. So when extra care is needed, it is right here on campus. When an unexpected health event occurs, there is no need to suddenly market a home, arrange a move, and no need to burden family with those issues either. Whether you become a resident of Warm Beach Senior Community or support us in some way, we invite you to experience firsthand this special community where God’s love is so evident.